1. 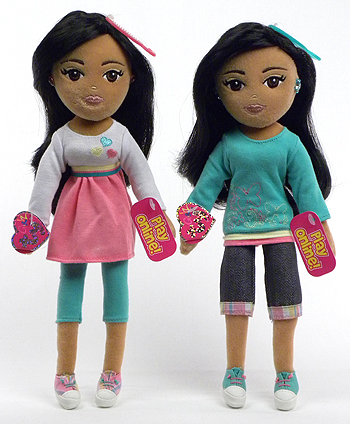 Sweet Sydney was originally released as Sweet Sasha, as a pair with another Ty Girlz named Marvelous Malia. 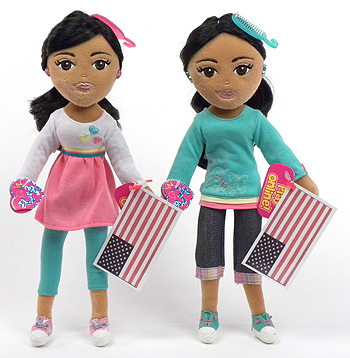 The original Girlz had the same first names as President Obama's two young daughters. 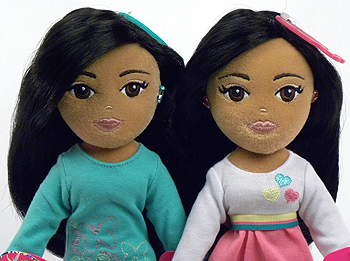 A controversy ensued that caused Ty Inc., to retire the original names Malia and Sasha; and rename the Girlz Mariah and Sydney. 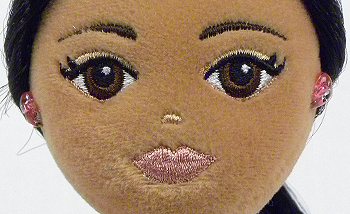 The design of the Girlz did not change, only their names. 2. Sweet Sydney was also produced as one of the Ty Li'l ones. 3. 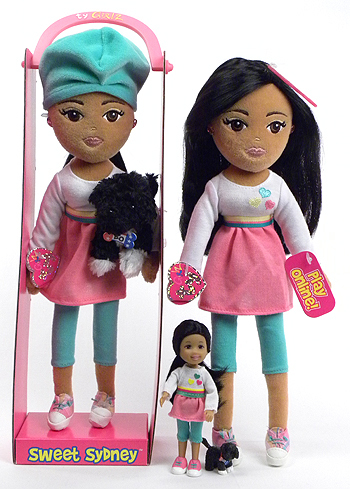 Sweet Sydney was also sold in a style #2250 package that included a hat and Bo the dog. The Sweet Sydney Li'l one is included in the picture for a size comparison. 4. Sweet Sydney and Marvelous Mariah were released at the same time. 5. Shortly after the release of Sweet Sydney, she was also sold with an American flag attached to her sleeve. We do not know if this was an original promotion from Ty, or added later by a retailer.